Is the Medallion App and James Simons a scam or legit binary options trading software that you can profit with? Well, our team conducted a thorough investigation and after analyzing the facts we came up with a few very disturbing conclusions. First, these guys are clueless about quantitative finance and high frequency trading. A “Quant”, or a quantitative analyst is part of an elite group of scientists, Physicists, and Mathematicians like Paul Wilmott, Emanuel Derman, and Haim Bodek who solve extremely complex mathematical problems while attempting to rectify or improve the theoretical and physical infrastructure of Wall Street. The Medallion App is not a software, it’s a rehash of older marketing gimmicks which have been used and abused before. Additionally, (and this is the most grievous aspect of this very sophisticated scam) our staff received various complaints from people across the globe who have been falsely led to understand that they are registering for software, while in reality they are signing up for some broker that’s in cahoots with the crafty affiliate marketer that’s out to get his commission. Secondly, the website uses rehearsed sales pitches building up the repertoire of the so called James Simons, who is supposed to be an authority in HFT and Quantitative Finance. This person is real but has nothing to do with binary options software development, and in most cases he would be a paid actor that will jump around in circles if instructed to do so, except this time. In reality this person does exist, and so does Renaissance Technologies. In fact, they are a very successful company, only they would never give their consent to promote this insanely ludicrous scam. That’s why there is no interview with the money man, and there will never be one because this software is not genuine and makes a total mockery of honest trading software. To continue, the reviews section is full of fraudulent claims by people who have never traded in their lives and are clueless about binary options. You can see that it’s made to look like Facebook posts, but it’s not clickable and the profiles and testimonials are fake. If you are able to reach the so-called traders who profited, it would be in a sense like reaching the burning bush and getting a response back. 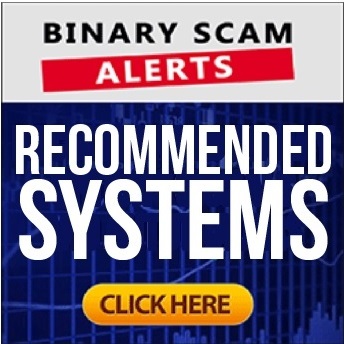 The creators of this fraudulent scheme have obviously went to great measure to entice innocent would-be traders and trick them into registering with and funding an account with one of their recommended binary options brokers. As is the case in every scam, eventually the truth gets out and you will understand you were duped by a team of professional con artists. Once you reach this conclusion you will either look for an alternative solution or leave binary options altogether. Other little tells include the fake TV and affiliated networks logos like CNN, Forbes, and BBC. In essence what they did is take a very serious subject such as Quantitative Finance, and tried to piggyback on it. These are all the news snippets you see prominently displayed in their sales page, however as you may have guessed, binary options is a closed system with different algorithms deciding the outcome of each contract, and the way to profit from it is by using very specific tool which are recommended in our website. If you reach a decision that you want to continue, you will need to consider various tools in the form of signals as well as strategies which are plainly discussed in Binary Options Analyst, which is an example of a reputable and informative website. Still, all the tools in the world won’t help you if you do not come to a realization that a push button system to making millions exists in the next world only. In this world you have to invest time and money in order to become a successful trader. This is the basic premise to everything in life by the way, if want to do something do it right. Don’t take short cuts and don’t go for freebees because you will eventually end up paying more instead of less and that is life hack you should remember at all times. Well, if you can allocate some time and around $500-$1,000 you will be able profit using a combination of systems and strategies. As always, it’s crucial to follow the news because market forces tend to fluctuate depending geo-political events like wars, local skirmishes, droughts, fires, and natural disasters. One very good example of this is the impact the Saudi’s are having on the world’s gas prices. Since they are battling the Iranians for the same sphere of influence, they are pumping higher amounts of gas at cheaper prices and flooding the market to make sure Iran gets paid less for each barrel they sell. How Does the News Influence Binary Options Trading? Well, if you by a XOM contract with Optionweb for example (a CySec regulated broker), you will immediately understand that taking a call position on Exxon Mobil would be the smart move since the market has been taking a nose dive the for the past few months. But this is not something you would know from some silly get-rich-quick scheme like Medallion App, Insured Profits, the Free Money System, or Channel Ranger, and no matter how much you want, it will never provide you with the level of flexibility and insight fullness you need in order to achieve true success. If I have been a wet blanket and ruined your dreams of fast riches and unsurpassed wealth I truly apologize, however when the truth is staring at your face don’t deny it, rather embrace it and use it to your advantage and profit. So here’s a quick recap, Renaissance Technologies and James Simons are used as a piggy-back marketing technique used to lend it an aura of authenticity and legitimacy. The image is not of some old guy in a suite, it’s the real guy but he had no idea his name and reputation would be used for a cheap gig. In short, the Medallion App is a very convincing binary options scam, and when you register it’s for a broker – NOT the software.